So, you’ve gotten hit with a negative item on your credit report. Now you’re asking yourself, How long do negative items stay on your credit report? Worst case scenario? 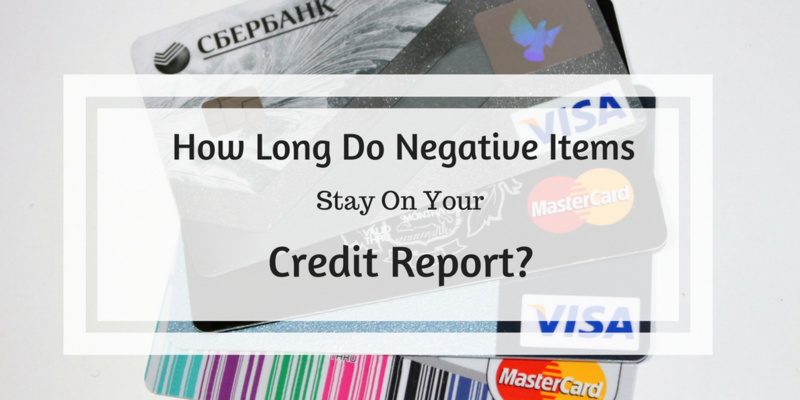 Negative items stay on your credit report for 7 years! In today’s post, we’ll outline some different types of negative items and how long they stay on your report. It’s important to get these things removed if you can, but if that’s not possible, at least now you’ll know what to expect. If you’ve been missing your payments regularly and have been more than 30 days later on some of them, you’ll experience negative hits on your credit score. Falling behind on your bills is never a good idea. Delinquencies stay on your credit report for 7 years and can have a stronger impact if left unnoticed. Make payments as quickly as possible, so that you can get back on track. Contact the credit bureaus and consult with them to take care of any leftover items. The negative items on your report will wear off over time, but you will have to explain your case clearly. Late payments happen to even the most responsible borrowers. Try to work with your lender, explain the situation and see if there’s anything they can do to forgive your late payments. This is a common problem that many people have gone through. We take on too much credit and can’t make the payments on them. A high-credit utilization alert can really start to sting after 30 days of non-payment. If you have too many credit cards, loans, or payments to make then cutting them down is a good idea. It’s smart to use less than 30% of your credit limit. Don’t cross the limit over, as the compounding effects may derail your credit score. Credit utilization is all about the balance on your accounts. So, as an example, if your only credit is a $1,000 credit card, make sure to keep the balance below $300 at all times. Account charge-offs are a strong indicator of bad borrowing practices. If you don’t pay the owed amount in full as a part of your installments, then you might see a negative hit on your score. Your lender may eventually give up after a few months of disorganized payments. The charge-offs can stay for many years if left unnoticed. They can have a strong impact even if you’re practicing good creditworthiness years later. That’s why it’s important to clear out these negative hits early on. Hiring the right consultants is the best way to ensure that you’re back on track. Starting at just $99 a month, Go Clean customers can get access to a variety of credit related services. Whatever your needs or challenges, Go Clean is there for you. Let the experts at Go Clean Credit help you increase your credit score by more than 200 points! Our credit repair programs put you back on the path to financial success. Contact Go Clean Credit today! 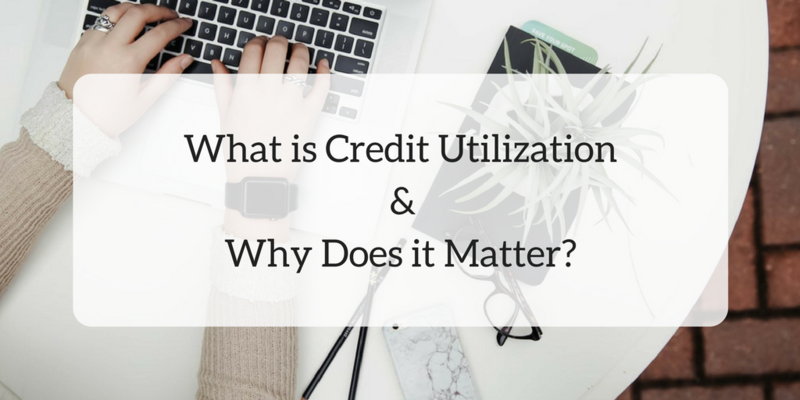 What is Credit Utilization and Why Does it Matter? Credit utilization is an important part of the credit score maintenance cycle. You want to make sure that you’re not shooting too high and using too much credit. Credit utilization is a simple ration that captures how much credit you’re using. E.g. if your limit on a single card is $5000, and you’re using $4500 of that your credit utilization is 90%. Your credit utilization should be around 30% if you want to maintain a good score. You don’t want to borrow money, simply because it’s available. It’s important to be frugal in your investments and only take credit when necessary. You shouldn’t overspend and consume too much debt in one go. Why does credit utilization matter? A high credit utilization score tells the lenders that you’re burning too much cash on a single loan. Even though it within your rights to accrue that debt, you want to be under the limit at all times. This is because if you’re late on your payments or have a missed payment in one month, your collective impact on your score will be incremental. Credit utilization is usually calculated on your outstanding balances, so you should avoid going over 30%. Don’t reach your max limit as a general rule. There are however steps that you can take to ensure that you don’t go over your credit utilization limit. If you’re spending through about $3000 a month on your payments, and your credit limit is set at $5000, then you may be utilizing too much of it. You can request the financial institution involved to boost your credit limit to $10,000. This may involve a hard inquiry which may reduce your score a little bit. But in the long-term, your credit score will increase as you’re not utilizing your complete line of credit. In general, most credit card companies report your balances and payments every month. If you can find out the exact date when they report it, you can pay off your balances on time. This will make the credit bureau think that you always have a positive balance. Therefore, you should try to pay off as much as possible early on. This will also help establish a higher credit score after you’ve paid off your balance. The best way to ensure that you’re not taking too much credit is to set up alerts from your lenders. Most automated systems can send you a text or email if you’re going above a certain limit. You can keep a track of your limits and ensure you’re not taking on too much credit. You can pay off your monthly payments in the middle of the cycle. This is so that when your balance is reported each month, you can appear to be balance positive. This will help you establish a great credit score over time. Let the experts at Go Clean Credit help you increase your score by more than 200 points! Our credit repair programs put you back on the path to financial success. Contact Go Clean Credit today! So, you’ve heard a bit about ways to protect yourself from identity theft. 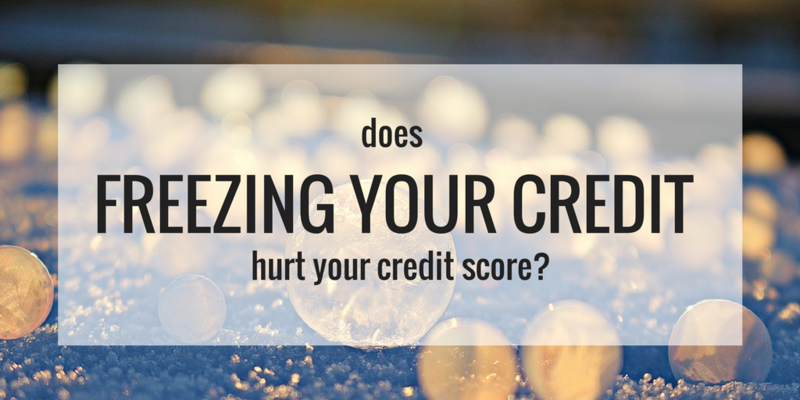 The research left you with the question, Does freezing your credit hurt your credit score? The simple answer is no. In today’s article, we’re going to explain what a credit freeze does and does not do, and why it shouldn’t affect your credit at all. What Exactly is a Credit Freeze? A credit freeze protects you against identity fraud and gives a simple way to control your assets and debt. Basically, it’s a security freeze that keeps identity thieves away from your account and has no impact on your credit score. However, a credit freeze may keep you from being approved for a new card or loan. It can also keep you from checking your FICO scores, as well as any credit file you may have. In other words, you don’t get access to them anymore. When Should You Freeze Your Credit? If you think that someone might have stolen your identity. If you received a number of unauthorized alerts on your card. It’s a good idea to freeze your credit so that you can maintain your score and not have it reflect while you’re clarifying the misunderstanding with the banks. You want to keep your credit profile as clean as possible. It proves you’re a trustworthy borrower and enables you to access lines of credit when you need them most. So, better safe than sorry; if you’re concerned about thieves, freeze your credit. A credit freeze won’t affect any activity from a credit monitoring company or demote pre-screened offers of credit. That’s why it doesn’t have much of an impact on your everyday credit-focused activities. You can still use your existing credit cards and continue using them normally. Unfortunately, everything comes with a price. When you freeze your credit, you’ll face a few limitations. Most importantly, you won’t be able to open any new lines of credit. Also, you can’t use your name to inquire about your credit, and you can’t submit any new credit applications. This also means lenders won’t be able to check your credit because your credit is frozen. Can I Still Use My Cards? Some people hear the freeze and get afraid that they won’t be able to use their accounts. While that’s a valid concern, there’s nothing to worry about. You’re simply freezing any credit checks, and any new credit being opened in your name. If you suspect that your credit card has been stolen, then freezing your credit won’t prevent the thieves from using your card. In this case, you need to take action with your banks directly. You can still carry out your loan and credit card payments as usual and report your activity to credit bureaus. There are no problems that arise there. We hope this blog helped you resolve the question “does freezing your credit hurt your credit score?” If you have any questions, the experts at Go Clean Credit have an answer for you. Our experts can be reached at 1-866-991-4885. Having a low credit score can be detrimental to your financial health. Getting a loan, buying a car or a house can become more difficult if you don’t have good credit. You can increase credit score by 200 points or more if you follow the long-term strategies highlighted below. 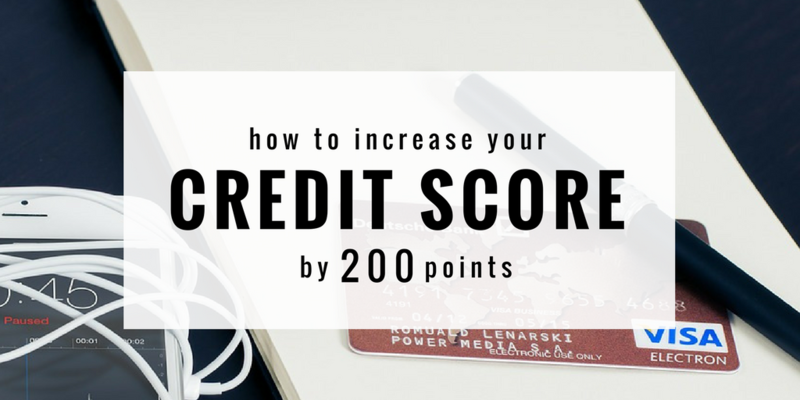 This is one of the most important steps when trying to increase credit score by 200 points. Obtain a comprehensive credit report for your account so you can have the data to conduct a deep dive into what’s hurting your score. A 3-in-1 report is one of the most popular credit score reports that shows you your FICO score between a range of 300 and 850. Ideally, you want to keep your score above 700, as anything under 500 indicates that you’re not a trustworthy borrower. Lenders like banks and credit card companies may not offer you favorable rates, and might even reject your application. You need to find and fix the holes that make up your score. Many people find inaccuracies and mistakes when they evaluate their comprehensive report. Draft a letter to the agencies, or schedule an in-person meeting with a consultant who can help you resolve your errors. If gone unnoticed for too long, your credit score may drop even more! That’s why it’s important to challenge erroneous information on your credit report and take action now. A credit score consultant like Go Clean Credit can help you figure out what steps you need to take in order to increase your score. These could include restructuring your debt, making payments on time, or managing your savings vs. expenses on your account. Consultants provide customized insights to help with your individual case. They can increase credit score by 200 points over time and provide real-world strategies that work. Before taking on more debt, you should pay off your existing ones and make all payments on time. Frequently delayed payments can burn a hole right through your credit score. If you don’t fix this now, this could prevent you from obtaining a good rate on your next loan. Paying off your credit cards, loans, car payments, etc. on time is the best way to increase your score significantly. This is a smart way to boost your score long term. Get a credit card on your account and start making smaller monthly payments on it. Some good examples include things like rent, electric bills, etc. that can be paid monthly without much hassle. You may not qualify for a regular card with a low score. However, you can easily obtain a prepaid credit card if you’re willing to make a small financial investment. Let the experts at Go Clean Credit help you increase your score by more than 200 points! Our credit repair programs puts you back on the path to financial success. Contact Go Clean Credit today!